Allotments shown are how much talk, text and data each plan gives you on a per month basis. The plans can be used with the network of your choice. That means you can choose an AT&T, T-Mobile, Sprint or Verizon based plan. Like the 90 day plans, the amount of talk, text and data shown is how much you have to use of each per month. They can be used with any network. 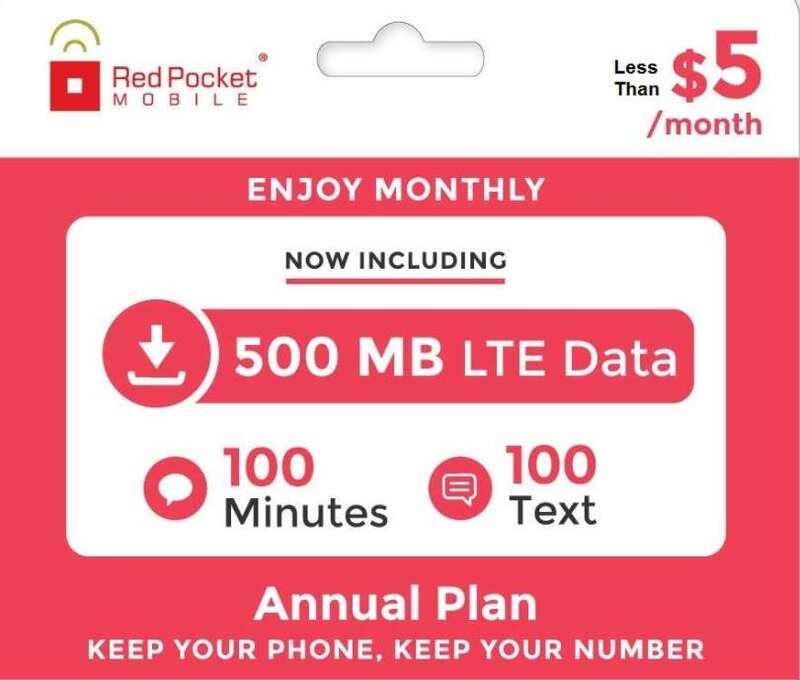 Red Pocket Mobile's annual plan with 100 minutes, texts and 500 MB of 4G LTE data for $55 annually works out to about $4.58/month. This looks like one of the top offerings this time around. To see if this is really a good deal on a Red Pocket Mobile plan, you can check out how this sale compares to Red Pocket's previous sales or just click the button below to buy one now.